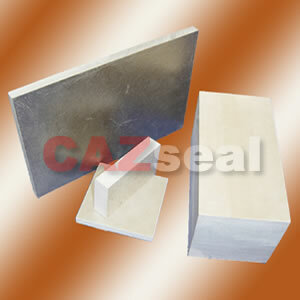 An asbestos-free sealing material, It��s made by selected mica material mixed with proper adhesive after pressed and baked, It has good mechanical strength and strength and property of heat resistance. 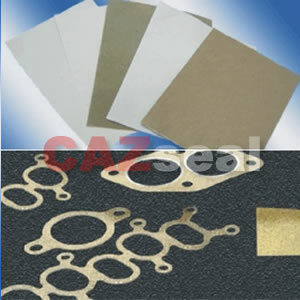 It can be cut into various gaskets, also used as filler for spiral wound gaskets. On request, it can be reinforced with tanged metal. It has proven beyond doubt the best and most reliable permanent sealing characteristics, low minimum compressive load, self-adjusting to enlarging gaps, no burning or sticking to flanges, compensating action in ceramic/steel joints with unequal expansion. High-performance thermal and electrical insulation is designed for electromechanical and thermomechanical applications requirement, It is used as a replacement for asbestos and other insulating boards for a variety of applications.